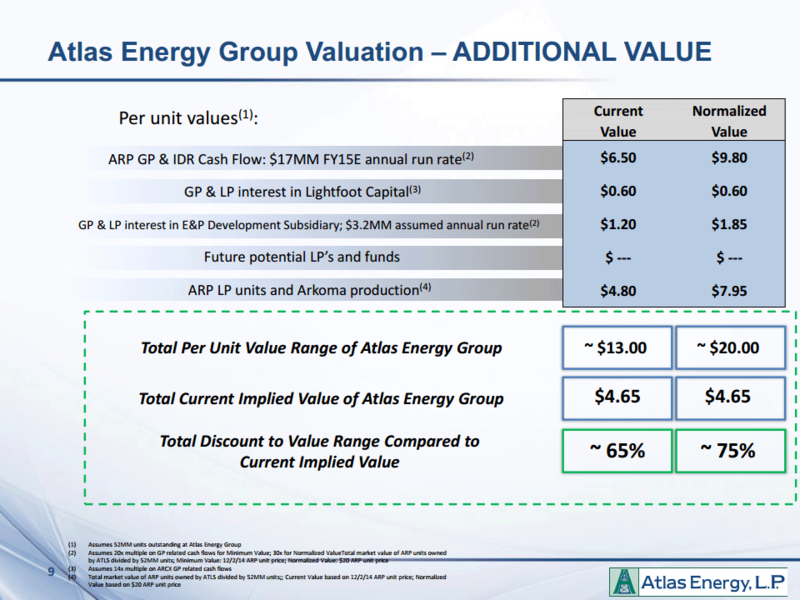 100% of the GP and IDR units of ARP (probably worth at least $0.50/share in current environment and a potentially extremely valuable option on a oil price recovery). A 12% LP stake in Lightfood that owns 40% of ARCX (worth $0.29/share). A 15.9% GP interest in Lightfood (no idea how valuable). A 80% GP interest in the E&P development subsidiary and a 2.5% LP interest. I honestly don’t know exactly how to value all these various interests, but when you get a bunch of potentially valuable assets basically for free I think this almost has to be a good bet with a positive expectation. So I have initiated a small position yesterday. Anything else than a small position is probably not wise/doable though since you need to tie up a lot of capital, and you get a lot of deal risk as well. 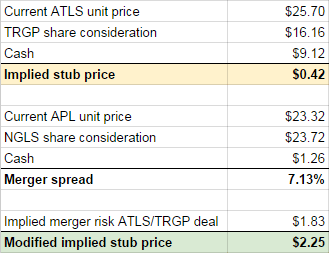 You could theoretically hedge the deal risk to some extent by shorting APL and buying NGLS, but that would require even more capital. 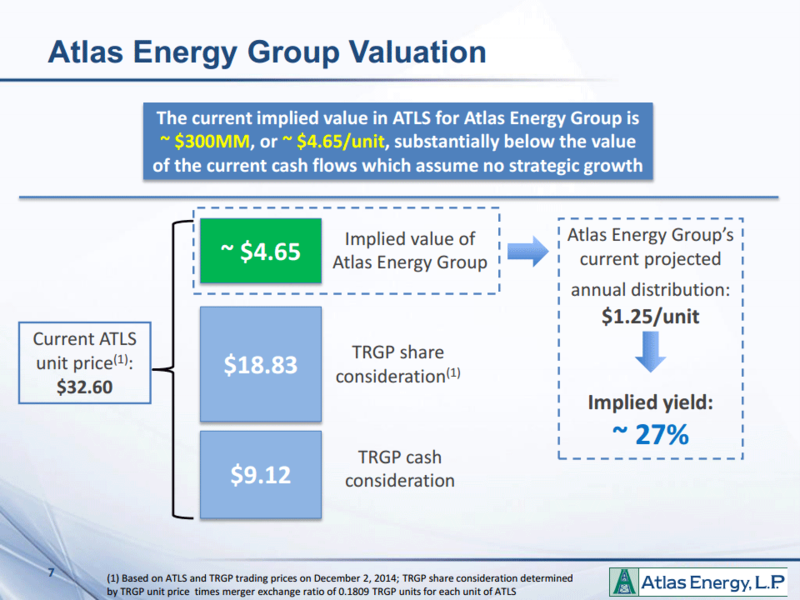 Long ATLS, Short TRGP. No (direct) position in ARP, ARCX, APL or NGLS. This entry was posted in Portfolio and tagged APL, ARCX, ARP, ATLS, NGLS, TRGP on December 11, 2014 by Alpha Vulture.